This month’s Hellboy reboot features a handful of characters that are new the franchise. But perhaps the most prominent is Ben Daimio, the cursed ex-Marine who undergoes stress-induced transformations into a supernatural jaguar. 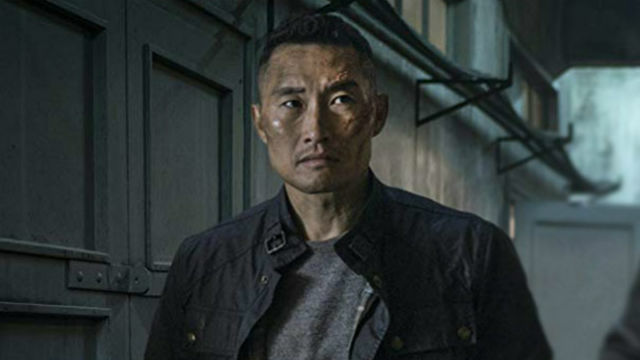 Daniel Dae Kim, best known for his TV work on Lost and Hawaii Five-0, portrays Ben in the new film. In an interview with Entertainment Weekly, Kim explained what attracted him to the role in the first place. Additionally, he shared what he hopes to bring to the superhero genre as a whole. In Mike Mignola’s Hellboy comics, Ben’s most distinguishing feature is a scar running down the left side of his face. According to Kim, the character’s self-consciousness about his mangled visage reminded the actor of his own childhood struggles. Of course, Kim’s involvement with Hellboy almost never came to pass. Deadpool’s Ed Skrein was originally hired to play Ben in 2017. However, after fans took issue with Skrein playing a Japanese-American character, the actor willingly withdrew from the film. Kim stepped into the role shortly after he left Hawaii Five-0 over a well-publicized salary dispute. Kim went on to express his gratitude to Skrein for taking action. Hellboy arrives in theaters next Friday, April 12. You can share your thoughts on Kim’s remarks in the comment section below!